Who are the bamba people in Uganda? The Amba (pl. Baamba and known by various other names) are a people located in border area of the Democratic Republic of the Congo and Uganda south of Lake Albert in the northern foothills of the Rwenzori Mountains. On the Uganda side, they are found inBundibugyo District. On the Congolese side, they are located in the Watalinga and Bawisa subcounties of Beni, South Kivu. Numbering 35,600 on the Uganda side in the 2002 census and 4,500 on the Congolese side according to a 1991 SIL International estimate,Ethnologue lists their total population as 40,100. Agriculturalists, the Amba traditionally cultivate plantains, millet, maize, sweet potatoes, peanuts, rice, coffee, cotton, and cassava, while raising goats and sheep. The Amba practice Christianity. 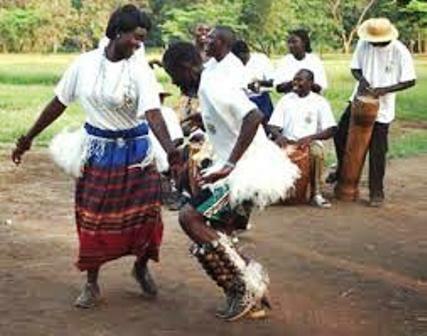 The Amba language spoken by the Amba is called, variously, Kwamba by the Amba themselves and is known as Kihumu in the DR Congo. There are many others. It has a 70% lexical similarity with Bera. Dialects include Kyanzi (Kihyanzi) and Suwa (Kusuwa). The Amba were part of the armed Rwenzururu movement against the Toro Kingdom and central government that reached heights in the mid-1960s and early 1980s. 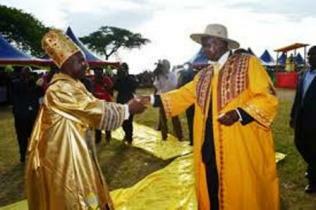 In 2008, the government recognized the Kingdom of Rwenzururu, formed by the Amba and Konjo peoples, as Uganda's first kingdom shared by two tribes.